Does Health Insurance Cover Drug Rehab Treatment in Florida? My loved one needs help – does insurance cover drug rehab? Living with someone who struggles with illicit substance or alcohol abuse can be one of the most difficult experiences in life. Thankfully, if either of you have insurance, inpatient and outpatient services in Jacksonville may be available to you. Beaches Recovery in Jacksonville, Florida offers nationally recognized dual diagnosis treatment programs and accepts most major health insurance plans. Health insurance information can be verified online or by calling us at 866.605.0532. Does Insurance Cover Drug Rehab For Outpatient or IOP Services? With the establishment of the Affordable Care Act, national insurance providers are now required to provide at least some coverage for drug treatment. Your particular plan may determine what amount and type of coverage you have, so the best way to approach this question is to realize you may need to check with your insurance. Confirming with the staff at the outpatient center is also a good way to ensure you are covered to receive treatment. Does Insurance Cover Drug Rehab For Inpatient or PHP Services? A Partial Hospitalization Program (PHP) is often administered for addiction treatment individuals with extended withdrawal symptoms or post-acute withdrawal symptoms and can greatly assist individuals on the road to recovery. Individuals experiencing medical issues as a result of their addiction will find that PHP is at least partially covered on many insurance plans. 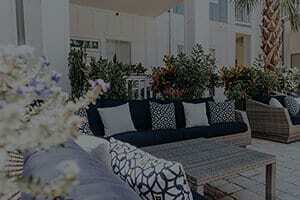 Beaches Recovery in Jacksonville, Florida understands that combining services and treatment techniques to create programs that are fully tailored to the needs of addicts is one of the best ways to ensure successful outcomes. Many addicts require detox and care through withdrawal to address the aches, pains, and nausea they may feel during treatment. The medical staff at a Partial Hospitalization Program is there to make sure that medications are decreased properly and that addicts engaging in PHP are getting the care they need. Does Insurance Cover Drug Rehab For Working In Unique Styles Of Therapy? Beaches Recovery of Jacksonville, Florida believes that addicts benefit from art as a form of therapy. In fact, we have found that art therapy empowers addicts to communicate more effectively through painting, drawing, sculpting, dancing, or playing music. In addition, art therapy can be helpful to addicts who have suffered abuse or were otherwise victimized. If your loved one needs help and Beaches Recovery in Jacksonville, Florida sounds right for you, reach out today to see how the drug addiction in your life can be properly addressed. Take action and take the first step toward a healthier lifestyle for you and your partner by calling 866.605.0532. Don’t wait. It’s time to get your life back on track!